Mario: The size of his nose as a metaphor for a large member. Luigi: His name in Japanese (ru-i-ji) is an anagram for the word, "to touch" or "twiddle" (i-ji-ru). Princess Peach: A peach can be seen as a woman's rear. Bowser: The king of the turtles. Turtles in Japan can be viewed as symbols for the male genitalia. 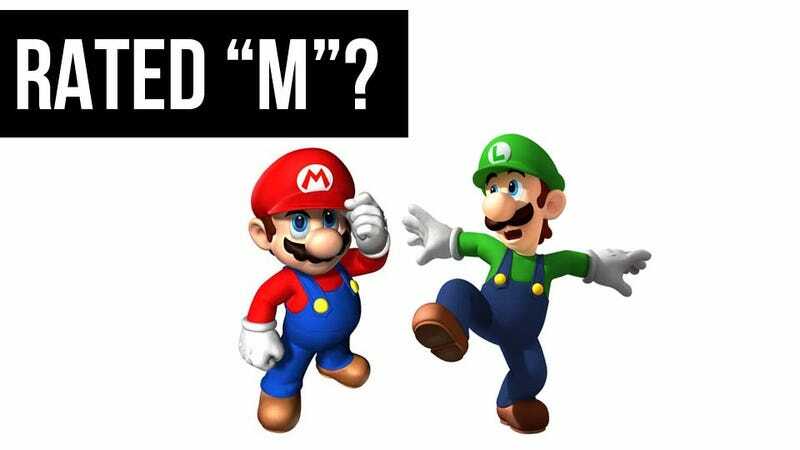 Mushroom Kingdom: Mushrooms are shaped like... Need I say more? Other pieces of evidence include how when Mario eats a mushroom, he gets bigger, or flowers as symbols for the female genitalia, and when Mario gets one of those, he turns red and spurts out hot little balls... Maybe there's something to this. Maybe it's just perverted minds reading too much into it. Maybe.